Clump forming perennial with alternate, pinnate leaves divided into toothed, oval, mid-green leaflets. Dense spikes of bottlebrush-like, dark pink flowers, brownish-red in bud, in late spring and early summer. 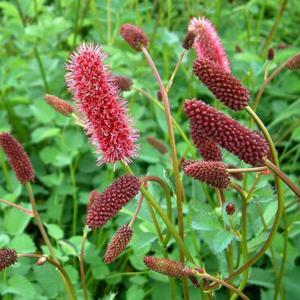 Any reasonably fertile, moist, well drained soil in full sun or part shade.